The Doctor forces it open. After seeing the Atraxi and being sent a message by them, the crack closes once more. The adventure then continues with the hunt for Prisoner Zero and trying to save the Earth. But the Doctor seems to, by the lines and visuals, just have closed a crack, with no more than the sonic screwdriver. Why can’t he do this with the other cracks he finds later? Let’s be charitable and suggest that instead of it being a mistake on Moffat’s part to suggest it was closed as good as new, it was a mistake on the Doctor’s part. In fact, maybe Moffat’s intention was that the Doctor playing with the crack in Eleventh Hour is what sets the whole problem into overdrive. The potential for it is certainly set up with the, “Everything’s going to be fine,” dialogue. Now the way the crack here worked, it ended up joining two bits of space and time. When opened, it allowed movement between the Atraxi prison and Earth. So the cracks can be used as a gateway between different places. That’s essentially what we learn from that first episode. We see more cracks in Beast Below and Victory of the Daleks. They are different to the one in Amy’s wall. Now visually, if it had just been a simple crack, it would have been harder to spot, so I get why they had to glow. That said, one could also argue that the Doctor’s messing about has in some way activated the cracks. Then again, you’d have to assume that if the Doctor was meant to be responsible for them going from being just cracks to becoming dangerous, we’d have had this explicitly pointed out at some stage. It never is. Leaving a certain amount for the audience to work out for themselves is good writing. But the clues need to be clear and consistent. It’s not our job to explain what the writer intended – that should be made obvious by the writer themselves. And if it’s really important information, there needs to be a moment of clarification. We’re never given a clear reason why every other crack is different to the one in Amelia’s wall. It was so hard getting up to here with all the other Angels behind me. I had to get them all to close their eyes so I could move. What we now discover is that the crack wipes things from existence. Get too close and you’ll never have existed. In this case dropping a complicated space/time event into a crack will close it, for a while. So, cracks can be gateways to other places, or remove one from time altogether. Later, even though the clothing I’m wearing is an illusion, I’ll take it off before I jump into the water. Okay, this is probably the most important episode for building upon what we’ve already learned about the cracks, and at the same time making the silence into more than just an idea. We are explicitly told that the cracks can lead to other places, and even the line about seeing “silence and the end of all things,” seems to suggest something on the other side of the cracks. More importantly, and I’ll keep coming back to this when I tackle season six, the silence here is a literal one. The sound actually drops out on screen, illustrating Rosanna’s earlier words. The Doctor notices it, Rory says he can only hear silence, and in order to further emphasise the concept, we get the dialogue repeating. The silence as presented here does not match up in any way with what we later learn about the religious group, the Silence, nor indeed what the silence they are talking about actually means. In The Wedding of River Song, the silence that is talked about is the silence of the Doctor, once he’s killed, to stop him answering the question which must never be asked. Good thing the crack was never seen to do this before or after this episode. The crack here can remove you from existence, if the light touches you. It’s never explained why there are tendrils of light that remove Rory. Sticking your hand right in to where the tendrils come from later is okay, apparently, if you’re the Doctor and want a clue. Though he does appear to be hurt by it. Amy sees her future self, alone on the distant hill. In the previous episode, before Rory was eaten by the crack and removed from time, she saw future versions of both herself and Rory. Of course, given this story takes place in the near future, we know know it can’t have been them because they are returned to the past in Angels Take Manhattan . 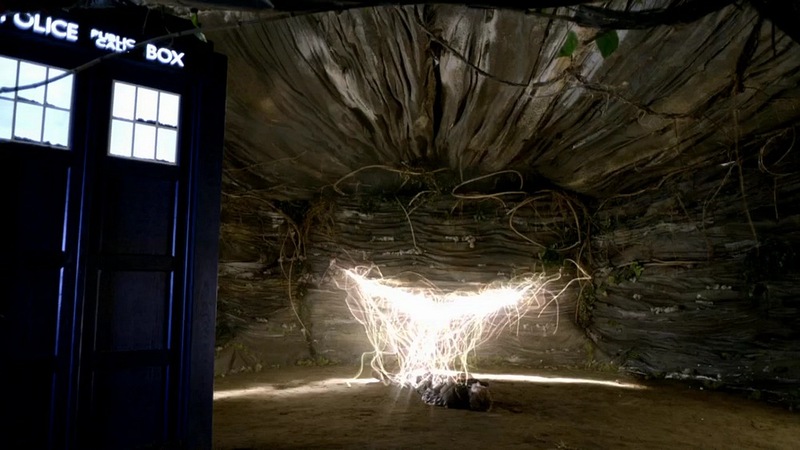 Okay, so we now know the Pandorica was a trap for the Doctor. If the bad guys were making the perfect prison for the Doctor, why wouldn’t they make allowances to be able to stop his companions, who would inevitably try to rescue him? A couple of Cyberman guards wouldn’t be enough. The Doctor says he could easily break into the Pandorica, but conveniently chooses not to in order to be cautious, since he doesn’t know what he’s going to find. I’ll come back to this, but given how many friends the Doctor has, is it wise to have a prison that can be opened “easily” from the outside? The Doctor asks River to go get the TARDIS because he needs equipment. There’s a problem the moment the TARDIS takes off. Which goes against what we were told in Vampires of Venice. They escaped through a crack. Prisoner Zero escaped through a crack. Some cracks had other worlds, some had only silence. And in Cold Blood, Rory doesn’t get too close to the crack, light from the crack reaches out and takes him. And surely sticking your hand inside a bloody crack is the epitome of getting too close. Boy, I can’t wait to find out who is saying that! River says of piloting the TARDIS, “I’m flying it perfectly. You taught me,” to the Doctor. In Let’s Kill Hitler we’re told that the TARDIS teaches River how to fly it. That said, River does also say later in the series that she has to lie because she knows so many spoilers. So let’s assume she’s lying. Doctor then explains that the cracks are caused by the exploding TARDIS, but that can be stopped if River lands. River lands the TARDIS, and the Doctor says, “Ok, just walk out of the doors. If there’s no-one inside, the TARDIS engines shut down automatically.” River finds that the doors won’t open. After this the members of the baddie alliance tell the Doctor what they know. For ease of reading I’ve put it all together as one piece of dialogue, though it’s spoken by several creatures. Of course this means Earth’s sun did too. But forgetting how that should have destroyed the Earth, or how the wash of radiation from all those other exploding suns should have sterilised the planet, it really is a bloody awesome cliffhanger on so many levels. But before I go on to talk about The Big Bang, I need to go back briefly to the scene where River is in the TARDIS with Amy’s big book of Romans, telling the Doctor that the Pandorica is a trap. Amy must have been really lonely to doctor up a photo of herself like this. But on the other hand, her Photoshop skills are amazing! Why does Amy have a picture of Rory in Roman fancy dress in the book? River looks at it at one point. 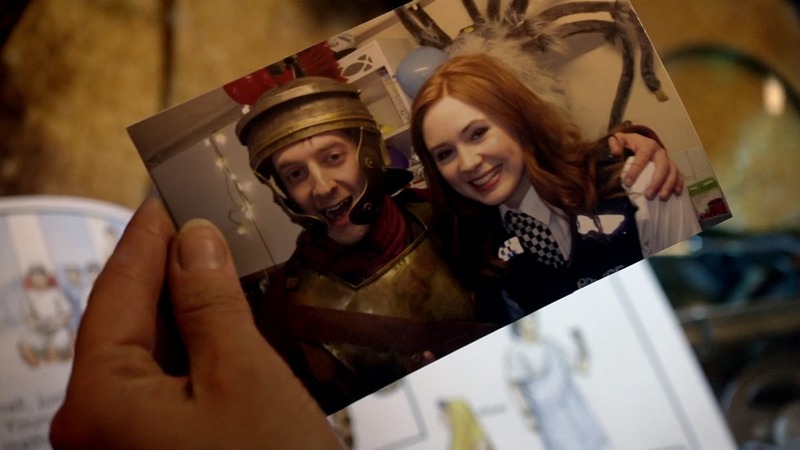 In the picture Amy and Rory are standing together, he in Roman fancy dress, she dressed in her police uniform. How did Amy get a picture of herself with Rory to keep in her big book on Romans if, from the end of Cold Blood, Rory never existed in Amy’s timeline? We’ve had lots of dialogue about how the cracks remove you from the universe so that you never existed. So how does Amy have a photo of a non-existent person? The cracks wipe your existence if you get too close. Except when they lead to other times and places. Or show the end of all things with the sound turned down. Amelia and Amy are touching… get ready for the explosion! 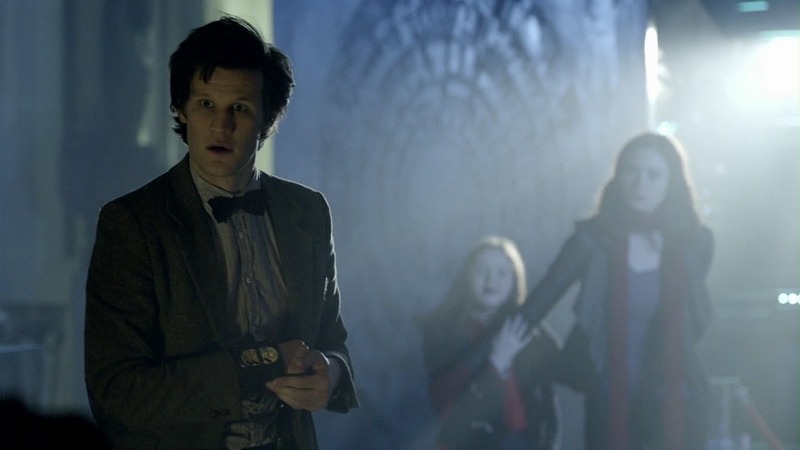 The Doctor tells Rory the Pandorica is easy to open from the outside with the sonic screwdriver. Even with all those locks? What a seriously crap prison. There’s no Blinovitch limitation effect with the two Amys, even though they touch. When two versions of Rose in Father’s Day caused a release of energy. When two Brigadiers touching in Mawdryn Undead causes a massive blast of temporal energy. When, in this story, two versions of the same sonic screwdriver touching causes a flash and sparks? Does being consistent really hurt that much? That is so hand-wavey it practically takes flight. The assumption is that Amy is asking how the TARDIS blowing up could destroy the universe. But even if she just meant how and why the TARDIS blew up in the first place, we still haven’t had an answer. But no, I’m sure Steven Moffat is going to pay off that question at some point. He’s just taking his time. It’s only been three years since it was asked. The Pandorica lifting off I’ll accept as artistic license. Yes the time manipulator thingy should have just made it vanish and immediately appear in the sun, but it’s more visually interesting and dramatic if it blasts off through the roof, and it gives us time to see the Doctor’s face as he heads towards his death. See, I don’t hate everything done for the sake of drama. Just the stuff that pretends to be important plot points. Or the stuff that ignores previously mentioned plot points. River knowing about the wedding makes sense if she’s Amy and Rory’s daughter, but that version of River shouldn’t exist if the Doctor has been removed from time. So she shouldn’t have the TARDIS diary to give to Amy to help spark her memory. And the diary is old and battered like it’s been used, but is blank. In fact, this version of River is conceived after this wedding, in the TARDIS. Which at this point in time doesn’t exist. So there’s really no way for her to be there. The Doctor asks some really good questions here. I can’t wait to see them answered. Part of me hopes the answers will be in the 50th, or the Christmas story. River Song and Sarah Jane Smith have both been seen to have sonic devices. 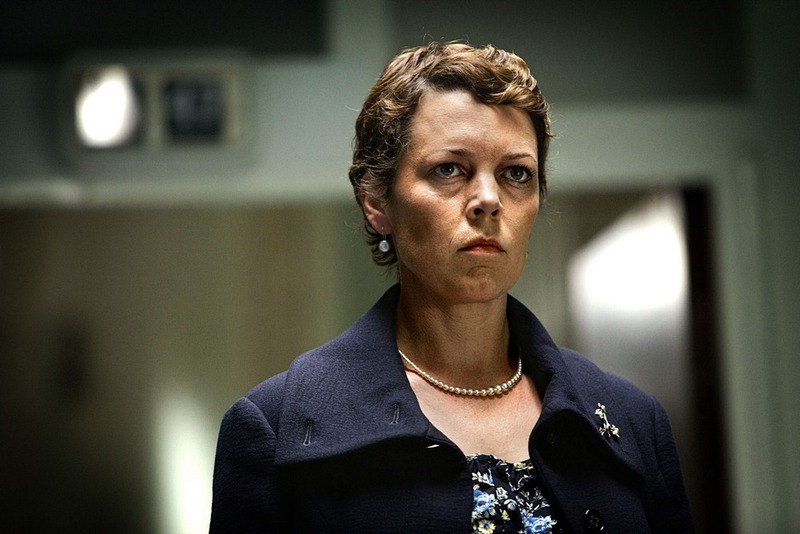 Miss Foster back in Partners in Crime had a sonic pen that was every bit as effective as the sonic screwdriver. Given that in The Sontaran Stratagem/The Poison Sky we saw that Sontarans have the deadlock seal technology that the sonic screwdriver cannot unlock, why wouldn’t they incorporate that into the Pandorica’s design? Surely they need to allow for the possibility of someone with a sonic device coming along. 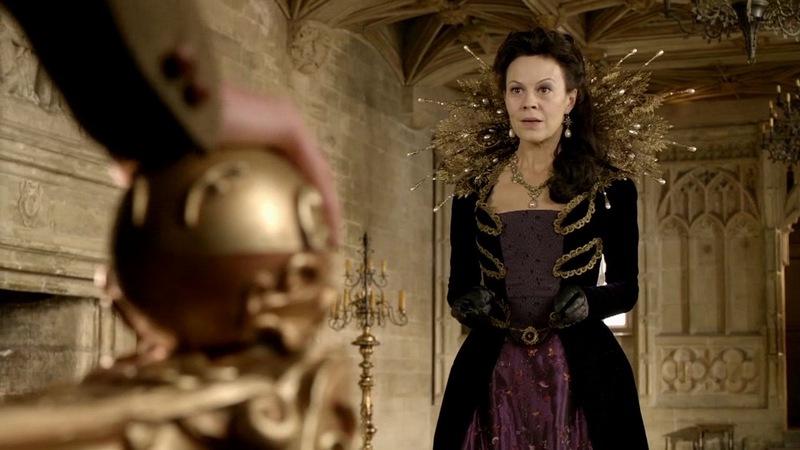 A companion, or a previous incarnation of the Doctor. River mentions the Pandorica has deadlocks, but these aren’t those, apparently. 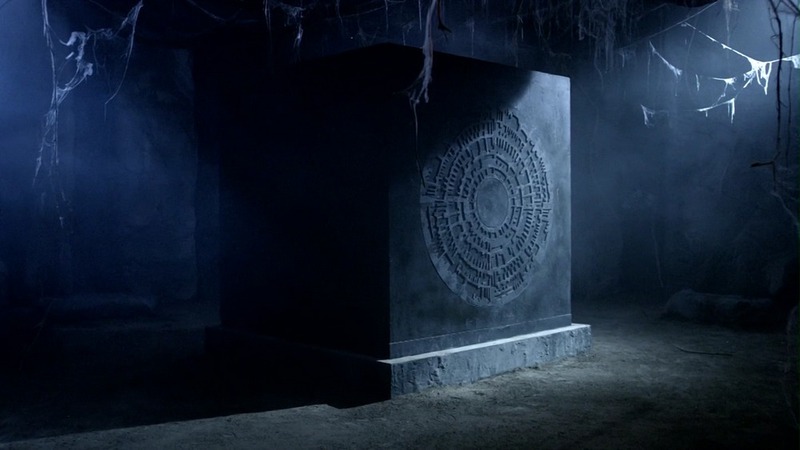 The Meddling Monk helped with the construction of Stonehenge… so was he part of the Pandorica trap? If the crack in Amy’s wall swallowed her mum and dad, why did it never swallow her? Out of the three of them, she’s the one who would have spent the lion’s share of their time around the crack. Especially if the crack can reach out and grab things, like it did to Rory. If this is Universe 2.0, where did the River of Universe 1.0 come from? And does the Big Bang of the title really refer to the universe being rebooted, or is it a sly reference to River’s conception shortly after the TARDIS takes off? Also, the Doctor went into the crack and so no longer existed – ever. I won’t bother running through an exhaustive list of the effects of this, just go back and rewatch Turn Left again to see what happens if you remove the Doctor from just a couple of years… and of course, there’d be no Torchwood to help out this time either, since it came into existence because of the Doctor and Rose in Tooth and Claw. Though I will mention one side effect of there never having been a Doctor, since it will become important later – The Doctor not existing means the Great Intelligence at least took over the Himalayas way back in 1935. And of course in The Name of the Doctor we see all these star systems wink out of existence – Because now they never existed because the Doctor didn’t save those planets, star systems, or the universe. That non-existence should mean Scaroth the Jagaroth was never on Earth to accidentally detonate his ship, and so we never should have come into existence. Not to mention that even if we did, we didn’t have Scaroth’s guiding influence, or the influence of creatures like the Fendahl or the Osirans, or even the Silents who turn up next season, to name only a few. Which then means that humans and/or human civilisation never existed, which means the Intelligence never came here, was never defeated by the Doctor, and so none of the events in The Name of the Doctor ever happened. This is why the original series so rarely played with temporal paradoxes. Forgetting the fact the range of stories involving them is seriously small, they often lead to unsatisfying and inconsistent story-telling. And no, timey-wimey is not an excuse for this. As a one-off comment in one story it’s funny. As an excuse for anything temporal that doesn’t hold together, it merely excuses poor writing. So, that was Moffat’s first season. I still maintain that it’s mostly quite a solid season, with some clever stuff and good use of arc storytelling. 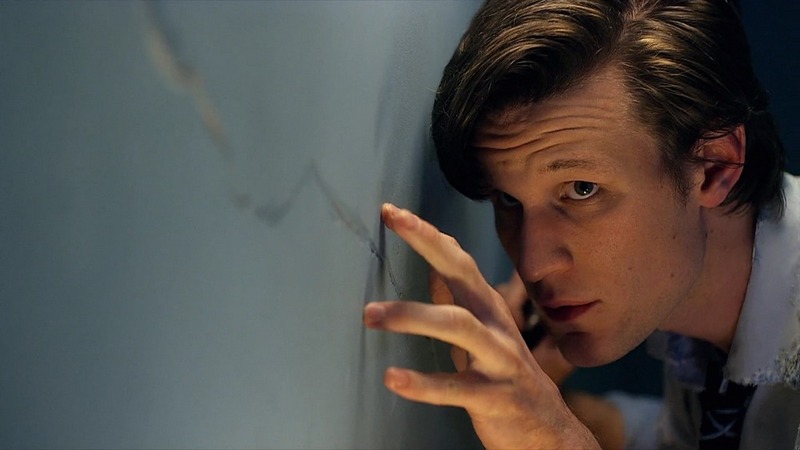 The Eleventh Hour is a wonderful story and I love it to bits. The Doctor’s appearance in Flesh and Stone as he travels back along his own timeline is great. Amy’s Choice, Vincent and the Doctor, and The Lodger are all great. 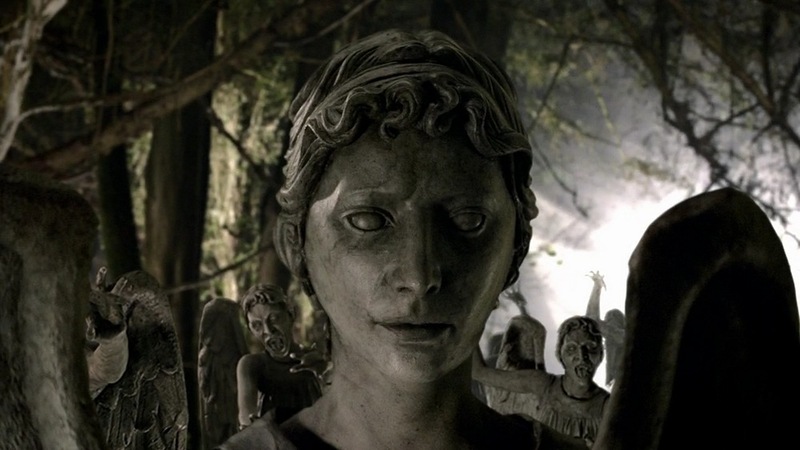 I like Pandorica Opens and Big Bang, and the Doctor’s monologue to the sleeping Amelia in that final episode is quite simply beautiful on so many levels. Where this season starts to really fall apart is when it is viewed in light of events from later seasons. I can forgive most of the inconsistencies and errors here, because most of them don’t immediately jump out at you, and overall it feels quite satisfying. But many of those errors are compounded by the next season. And questions specifically set up at the end of The Big Bang have yet to be paid off three years later. That said, I would not put it past Moffat to tie this stuff together even now. Could the voice saying “Silence will fall,” be the Hurt Doctor. It could explain the level of control had over the TARDIS. Maybe he needed to explode the TARDIS in order to stop the Time Lords, or something weird like that. There are so many questions, and still ways of tying them together. Moffat can show himself to be a bloody good story-teller who occasionally makes errors, which is perfectly reasonable. Or he can be the king of making up cool stuff as he goes along and not caring about whether holds together in any sort of coherent manner. Next up – series six! 1. The Hungry Earth/Cold Blood takes place in 2020, ten years after Amy and Rory’s time. Mind you, with the events to come later in this season, it could be argued that in Universe 1.0 Amy and Rory were still together in the UK in 2020, and them being taken by the Angels is a Universe 2.0 thing. But that leads to other problems. 2. I’ve always hate this trope. Just because it’s might be easier to break into a prison, it doesn’t mean it’s substantially easier. You’ve still got to negotiate all the barriers that are made to keep people in. Sorry, it’s just a beef I have with that trope, which seems to appear regularly all over the place. 4. River does this sort of thing a lot. It almost never pays off the way it should. Time and again the character talks about bad stuff in the future, and it’s almost always not as bad as she makes out. In this instance, when the Doctor discovers she’s actually Amy and Rory’s daughter, he’s overjoyed! So why is she sorry again? She’s just a bloody drama queen. Or Steven Moffat is. 5. Sorry. That was crass, but I couldn’t resist. Actually, I could have resisted, and I’m not sorry. 6. Scaroth was seen in City of Death. The Fendahl are from Image of the Fendahl, and the Osirans hail from Pyramids of Mars. All great stories and well worth checking out. 7. I don’t know what name he’s going to wind up with, but I really like calling the War Doctor, the Hurt Doctor. I come from the generation that often referred to the actors by their names, so I’m more comfy with the Hurt Doctor moniker. This entry was posted in New Doctor Who, The Moffat Master Plan, Writing and tagged City of Death, Doctor Who, Let's Kill Hitler, Moffat Master Plan, Steven Moffat, The Angels Take Manhatten, The Eleventh Hour, The Hungry Earth/Cold blood, The Name of the Doctor, The Pandorica Opens/The Big Bang, The Time of Angels/Flesh and Stone, The Vampires of Venice, The Wedding of River Song, Tooth and Claw, Writing by dalekboy. Bookmark the permalink.